Quality Cleaning. Excellent Service. Green Since the Start. 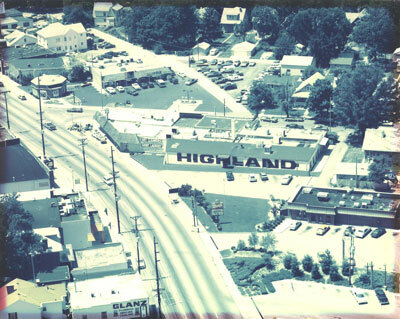 Taken in 1980, this is an aerial view or our main store looking North. The front counter of the cleaners is still located in the plant (same location). In 1995, we purchased the Wendy’s next door, razed it, and built our current front counter and offices. It’s a pledge we have never forgotten. 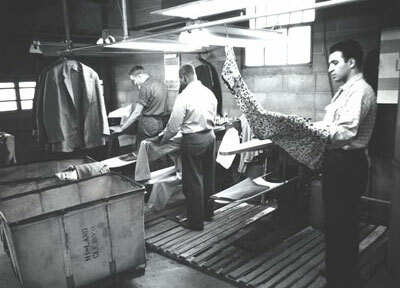 Over the years, we’ve seen many changes in dry cleaning. Technology and new chemicals have made it possible to clean clothes faster. But when it comes to maintaining your fine garments, faster isn’t better. That’s why we have firmly resisted any changes that provide only speed while sacrificing quality and our status as a green cleaner. We use modern techniques where it benefits your clothes. But, we still do many things the old fashioned way—by hand. Because, in the long run, it’s the best way. And the greenest, too. A rather dapper Robert Jones, the father of current owners Michael and Anne, at the spry young age of 32. Circa 1958. Our spotting department in the late 50’s. From left to right: Don Coffee, Haywood Bryant, George Farah. George Farah is the son of Lee Farah, the original owner of Hi-Land Cleaners. 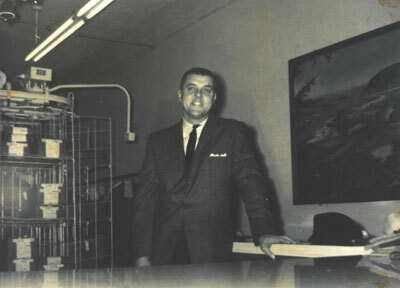 Mr. Farah started the business in 1944 and Robert Jones became his partner in 1952. In 1960, Robert bought out Lee and became 100% owner. He also changed the spelling of the name to Highland Cleaners as a tribute to the neighborhood. 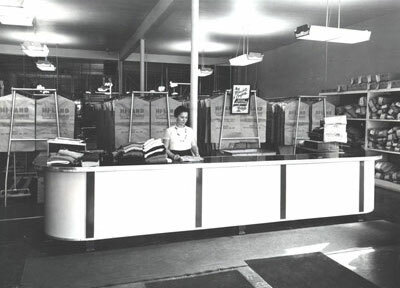 Thelma Cofer on the front counter “brushing” sweaters—de-linting and de-pilling the sweaters before they went back to the customers. Circa 1958.